Ever since I started writing about beauty a whooping decade ago fresh off journalism school, I became a dignified guinea pig. I test on average a gazillion products a month, but for some brands I actually take a good three weeks of exclusive use before I write my honest opinion. It is the case with Simone France, a wonderful skincare brand that concentrates on delivering highly-targeted formulas instead of spending an insane amount of money on marketing. 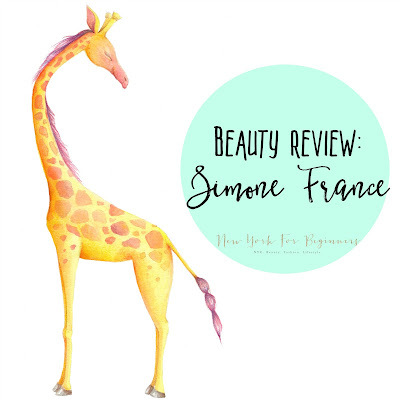 Simone France’s products do speak for themselves. When a few weeks ago I received an email from the company asking me if I was interested in receiving some samples to test (you can find my review policies here), I was very positively surprised that I had to take a test prior to receiving the product. That test, they assured me, was necessary to understand the real needs of my skin. There aren’t many brands out there with such an easy-to-use yet comprehensive (and accurate) diagnosis tool. Although I consider myself lucky in the skin department (no many major breakouts and small-sized pores), it is true that my skin is always thirsty and a bit on the dull side. To make my life easier, I’m allergic to some ingredients commonly used in cosmetics (mostly sodium laureth sulphate in all its forms.) This makes it sometimes tricky to find good cleansing formulas. To top it off, the fact that I’m a dignified guinea pig and put on my face everything I write about (plus some more products that I wouldn’t recommend and don’t make the cut) gives my skin some extra sensitivity points in the shape of beautiful red and random blotches. How cool is that? Nope, New York For Beginners hasn’t turned into a foodie blog. “The Sandwich” is a patented, tried-and-true morning deep cleansing ritual invented by the masterminds at Simone France. It consists of a 60-seconds ritual in which you have to mix moisturizer, refining scrub, and a good layer of soap to achieve a glowing and dewy skin. Believe it or not, it works. It’s the layering method at its best – and it was invented quite a few years ago. 1. I apply French Formula (my recommended moisturizer) to my dry face. This is basically a protective layer that helps protect the skin before deep cleansing it. 2. Over this extremely rich moisturizer, I apply a few dots of the Refining Scrub. Because my skin is sometimes sensitive, I find it best to use a relatively small amount of product. Remember, a little goes a long way! 3. With a soap mesh, I get a generous lather of soap and gently massage everything together on my face. Yes. Everything. Moisturizer, scrub, and soap. 4. With a wet Signature Cleansing Cloth imbibed with warm water, I wipe off the sandwich gently. The cloth works best if you don’t unfold it. 5. To finish my ritual, I splash my face with lukewarm water and finish off with some cold water to close my pores. 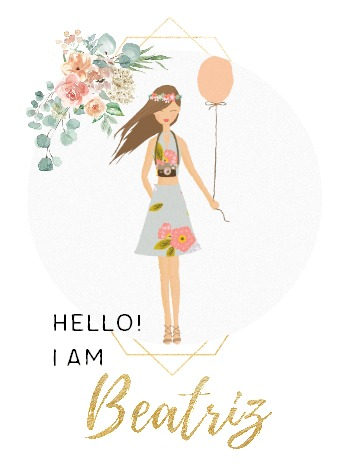 I reapply a tiny bit of French Formula and voila! Ready to go. It took me a couple of weeks to master the sandwich system (at first I was putting too much refining scrub or too much french formula), but now I can proudly say I deep cleanse and moisturize my face in a minute and a half. If you live in New York City, this is priceless! Every beauty-conscious gothamist will tell you that New York City’s pollution levels are the worst enemy of a beautiful skin. Simone France recommended me another signature ritual to leave my skin ready for a beauty sleep: The Touch and Glow system. 1. On my dry skin, I apply Simone France’s Cleansing Milk and massage. This product is so good that it can also be used to remove eye makeup! 2. I scrub it off with a wet Signature Cloth. To avoid waste, I rinse it under warm water and reuse it to apply the Refreshing Toner to my wet face. 3. When I have a Very Dry Day, I reapply a bit of French Formula and get ready to doze off. Zzzzzz. As I said, I feel I’m lucky in the skin department even with my dryness problems. In my case, a good skincare treatment makes it unnecessary to wear makeup. To complete my treatment, I like to use a good deeply hydrating mask to achieve dewy skin, especially after extremely stressful weeks. Simone France’s solution is called Instant Radiance and Deep Moisture Mask. I like to use these masks on alternate days to exfoliate and to moisturize deeply. Chok chok is how koreans describe beautiful, dewy skin. After using Simone France’s products exclusively for three full weeks, I have experienced a real change in my skin. To start with, I no longer have a terribly dull shade. Second, and after getting the sandwich routine right, I have noted that I no longer need to moisturize that much -a bit of French Formula is enough to keep me going all day. Third, and although my skin is usually very sensitive, I haven’t had any negative reactions. No redness, no nada. I can use the refining scrub daily with no problems! Additionally, what I like about Simone France is the complete transparency of the formulas. They list each and every one of the ingredients on the website and you don’t need to do any digging. There are no “featured ingredients” partial list, so if you are allergic to any component you can look into it right away. I wish more cosmetic companies had such a good disclosure policy. On the other hand, I like their minimal packaging: Simple white containers with gray labels that specify all the ingredients and some basic use directions. They clearly put their money on achieving good formulas with great-quality ingredients instead of spending it on complicated packaging and marketing strategies. I’m officially in love with these wonderful cleansing cloths. Made from some very heavy gauze-like blend of materials and created with a special weave, they leave my skin completely clean without irritating it. Although I usually use a muslin cloth to reduce post-consumer waste, I have found a way to re-use these babies. If you rinse them well with lukewarm water and let dry, I have been able to stretch their use up to four times if I haven’t been removing make-up. Price: 30 cloths retail for $10. Created to satisfy the needs of dry to very dry skin, the French Formula is an ultra-hydrating cream that doubles up as night treatment. A little bit goes a long way, and it works wonders under make-up. It gives my skin an ultra-dewy instant result, and it has worked wonders to balance it after a few weeks of crazy weather. Borate, Emu Oil, Fragrance, Phenoxyethanol, Ethylhexylglycerin. Price: $20 per 1/2 oz. This wonderful soap for face and body gently washes the skin without leaving the typical dryness sensation that comes after using sodium lauryl sulphate or its derivatives. Created using the traditional french-milled process, it is created with 100% organic ingredients although it has no official certification. With the wipes, it’s my favorite product of the line. Ingredient list: Sapponified oils of safflower and/or sunflower, palm oil, coconut oil, grapefruit seed extract, rosemary extract. My third product for “the Sandwich” is the wonderful refining scrub, a whipped mousse with gently exfoliating particles of Diatomaceous Earth. I have found that using just a tiny bit every day as part of my sandwich routine has helped me regain a bright complexion quite quickly. However, if you suffer from rosacea or your skin is extremely sensitive, you can leave this step out of your routine. Together with protecting your skin from the sun, a regular exfoliation is a secret for a dewy complexion because it washes away any dead cells. 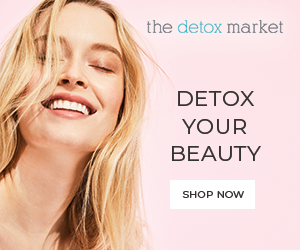 I recently read that a dermatologist suggested that introducing exfoliation in our beauty routines could help fight the negative damage caused on our skin by the sun. Although sun protection is the first and only proven way to prevent and fight skin cancer, some researchers suggest that exfoliating might also help by removing damaged cells. phenoxylethanol in the EWG Skin Deep database here. Price: $18 for 1/2 oz. This incredible duo of cleansing milk and toner are extremely gentle and work wonderfully well on my oh-so-dry skin. They dissolve make-up and the grim and dirt of my everyday New York life in the blink of an eye. Recommended by Simone France as an excellent post-exercise cleansing method, they are excellent to carry on your gym bag to have an instant dewy boost because they also calm down the skin redness after exercising (or at least in my case!) I love that this toner doesn’t dry out my skin, unlike many others I have tested over the years. They get bonus points because after I introduced them in my daily ritual (the first few days I was only using the sandwich) I feel I need less moisturizer in the morning and evening. Refreshing toner: Water, Propylene glycol, Witch hazel, Organic aloe barbadensis leaf juice, Geranium maculatum (Cranesbill) extract, Organic Burdock Extract, Organic Calendula xtract, Organic chamomile flower extract, Organic Lemon peel extract, Organic Black walnut extract, Organic Balm mint extract, Organic Sage extract, Diazolidinyl urea, Citric acid, Methyl gluceth-20, Sodium benzoate, Disodium EDT. Price: $64 for a trio of milk, toner, and 30 wipes. The Instant Radiance Exfoliating Mask is extremely gentle on my skin and has been able to balance it during one of my very rare breakouts after just two applications. I use it once a week on face, neck, and decollete to help brighten my complexion (did I say that my skin is extremely dull? ), plus I get an extra treatment any time I have any nasty redness coming up. I very recently started using the Instant Radiance Exfoliating Mask before applying my Deep Moisture Mask (another one of my favorite products of the Simone France line.) If the Deep Moisture Mask did wonders on its own on my very scaly areas (cheeks and forehead), the combo of the two is just insane. I could really see the difference. It also gets bonus points because ever since I use it I have seen my fine lines plump to non-existence. I can’t tell you how happy this makes me! Price: $18 for 1/2 oz. / each.